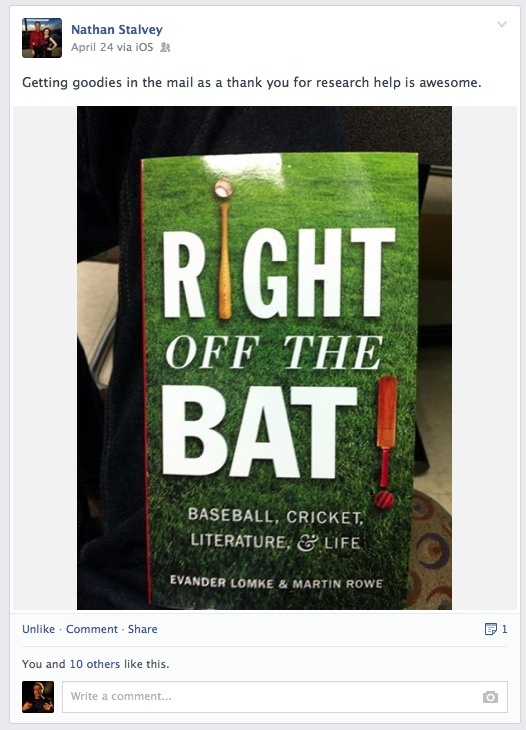 Nathan Stalvy, curator of the Louisville Slugger Museum (maker of the bats for MLB), loves our book! This entry was posted in Baseball, Miscellaneous and tagged Louisville Slugger Museum, Major League Baseball. Bookmark the permalink.